This lecture is devoted towards the explanation of Otalgia and Tinnitus. 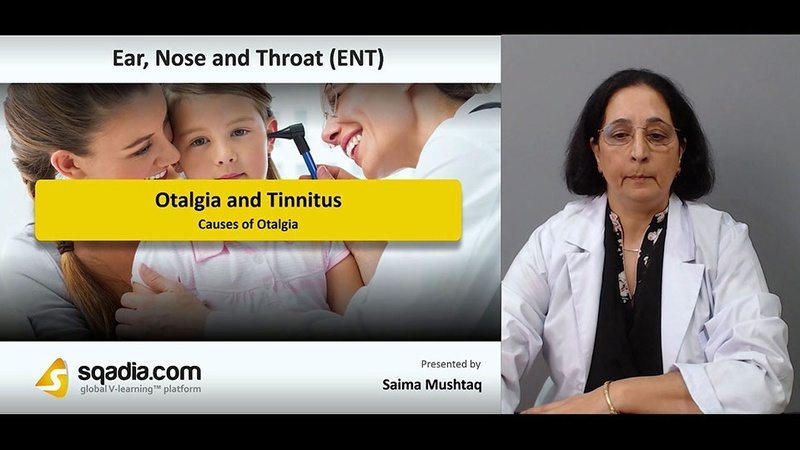 The first section of this lecture aims at talking about the Causes of Otalgia. The educator started off by describing the Local Causes of Otalgia. In addition to this, the educator has also shed light on the Referred Causes. In the end, the educator summed up by mentioning about the Psychogenic Causes. The second section elucidates the Referred Causes. An in-depth debate on the Referred Causes has been put forward. In the beginning, the educator has spoken about the referred causes Via Vth Cranial Nerve followed subsequently by a dialogue on such causes Via Xth Cranial Nerve. Afterwards, the educator moves forward to delineate about the referred causes Via C2 and C3 Spinal Nerves. Conclusively, the educator winded up by conversing about these causes Via IXth Cranial Nerve. 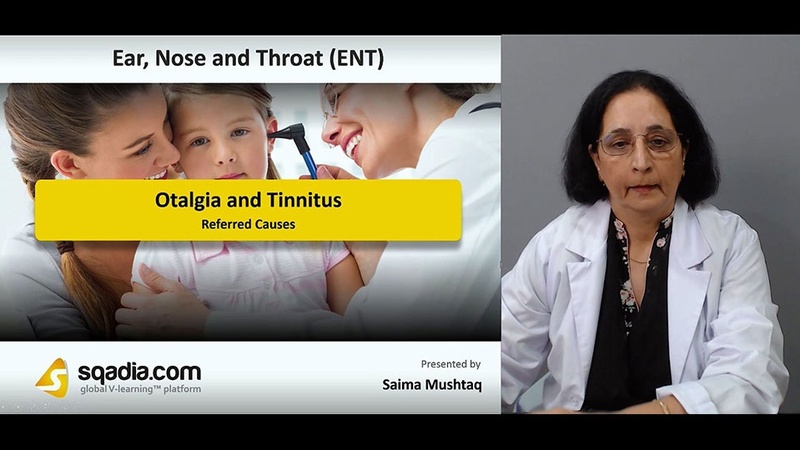 The prime focus of section three is to talk in detail about a condition termed as Tinnitus. Firstly, the educator has defined what Tinnitus essentially is. Following this, various Types of Tinnitus have been brought into consideration. Along with this, Subjective Tinnitus has been reported as well. In the end, the educator winded up by drawing our attention towards another type of Tinnitus entitled Objective Tinnitus. Section four accommodates the Treatment of Tinnitus. Initially, the educator has described about the Reassurance and Psychotherapy. Next in line, various Techniques of Relaxation and Biofeedback alongside Sedation and Tranquillizers have been narrated for rehabilitation. Later on, Masking of Tinnitus has been considered. Conclusively, the educator has highlighted the Tinnitus Instrument which can be worn by Tinnitus patients like a hearing aid. The focal point of section five is on the Tinnitus Retraining Therapy. The educator commenced by defining extensively what Tinnitus Retraining Therapy (IRT) predominantly is. Subsequently, there is a reference of Counselling. This segment ended when the educator expounded the Sound Therapy.